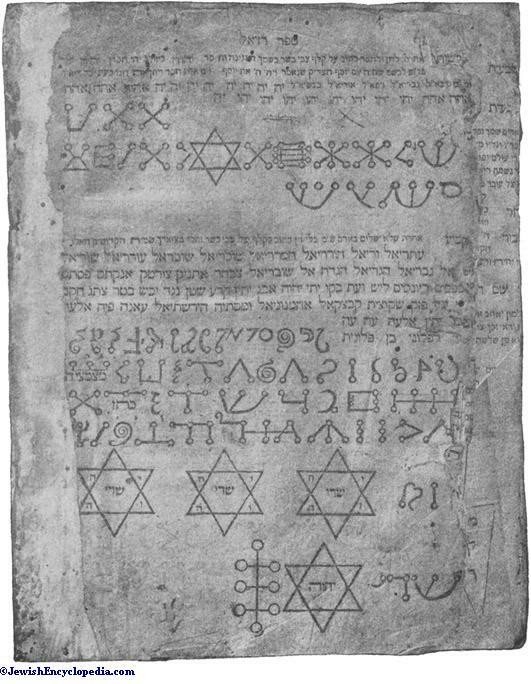 Page from the Sefer Raziel., Amsterdam, 1701. 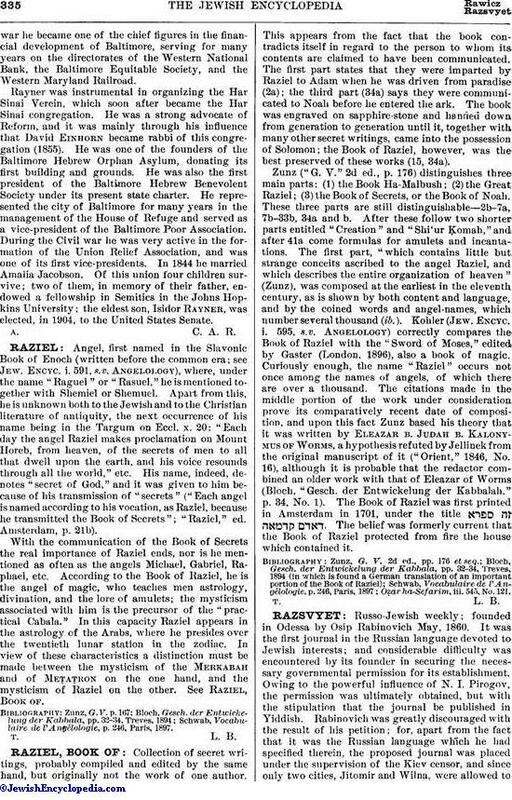 Russo-Jewish weekly; founded in Odessa by Osip Rabinovich May, 1860. It was the first journal in the Russian language devoted to Jewish interests; and considerable difficulty was encountered by its founder in securing the necessary governmental permission for its establishment. Owing to the powerful influence of N. I. Pirogov, the permission was ultimately obtained, but with the stipulation that the journal be published in Yiddish. 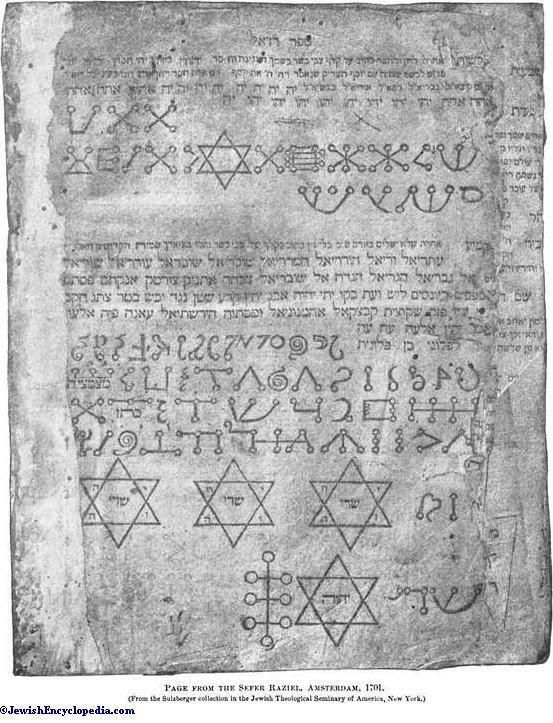 Rabinovich was greatly discouraged with the result of his petition; for, apart from the fact that it was the Russian language which he had specified therein, the proposed journal was placed under the supervision of the Kiev censor, and since only two cities, Jitomir and Wilna, were allowed to have Hebrew printing-houses, the matter was rendered very complicated. Rabinovich again petitioned the government, and with the aid of Pirogov the desired permission was finally obtained. The purpose of the journal was to diffuse light among the ignorant Jewish masses of Russia; and accordingly its motto was "Let there be light." In the first petition of 1856 Rabinovich in outlining the policy of the proposed journal said that the corrupt jargon used by the great mass of Russian Jews was not adapted to mental enlightenment and progress, since it could not be used for the expression of abstract thoughts; that the Jews would by means of the proposed journal become more familiar with their country and its people, and that the Russian people would become better acquainted with their Jewish neighbors. The journal was to concern itself with questions of religion, sociology, history, criticism, science, biography, travels, trade, agriculture, etc. 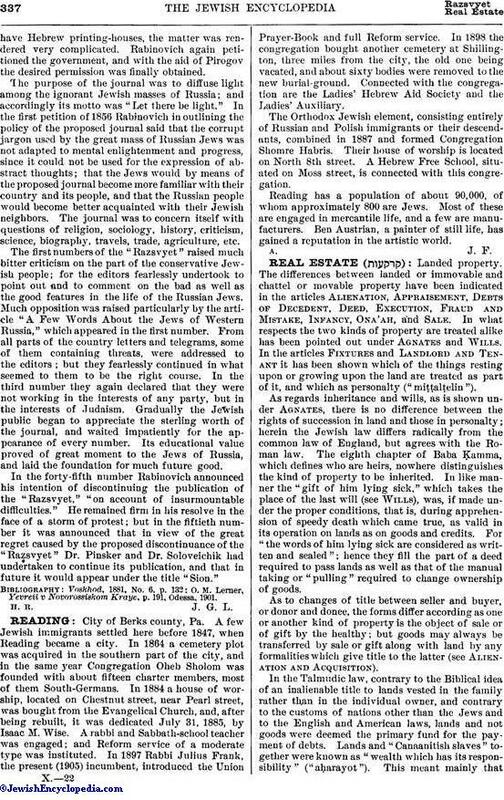 The first numbers of the "Razsvyet" raised much bitter criticism on the part of the conservative Jewish people; for the editors fearlessly undertook to point out and to comment on the bad as well as the good features in the life of the Russian Jews. Much opposition was raised particularly by the article "A Few Words About the Jews of Western Russia," which appeared in the first number. From all parts of the country letters and telegrams, some of them containing threats, were addressed to the editors; but they fearlessly continued in what seemed to them to be the right course. In the third number they again declared that they were not working in the interests of any party, but in the interests of Judaism. Gradually the Jewish public began to appreciate the sterling worth of the journal, and waited impatiently for the appearance of every number. Its educational value proved of great moment to the Jews of Russia, and laid the foundation for much future good. In the forty-fifth number Rabinovich announced his intention of discontinuing the publication of the "Razsvyet," "on account of insurmountable difficulties." He remained firm in his resolve in the face of a storm of protest; but in the fiftieth number it was announced that in view of the great regret caused by the proposed discontinuance of the "Razsvyet" Dr. Pinsker and Dr. Soloveichik had undertaken to continue its publication, and that in future it would appear under the title "Sion." O. M. Lerner, Yevreii v Novorossiskom Kraye, p. 191, Odessa, 1901.